The Institute of Materials Research, Department of Aerogels, offers a scientific position for experienced researchers. In the “Next Generation Car” research project, a project in the field of transport research, innovative materials for thermal and acoustic insulation in ground-based vehicles, up to the generic component, will be developed. In addition, new innovative concepts for future batteries and fuel cells for e-mobility in the field of energy research are being developed, in which aerogels offer a completely new and promising approach. The development of functionalized biopolymer aerogels for the selective adsorption of air pollutants or moisture is considered here. To strengthen the DLR team they are looking for an experienced scientist. The main research focus of the Institute of Materials Research is the development of new material solutions and their processing techniques for applications in aerospace, in energy technology and in automotive engineering. In co-operation with DLR institutes as well as with national and international partners, the Institute of Materials Research is consistently working on fundamental and application-orientated topics. 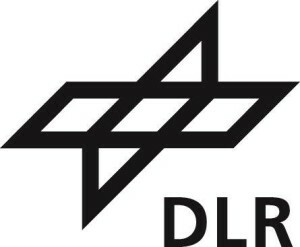 Since almost 20 years DLR performs research on aerogels on the basis of oxides, thermosettings resins, biopolymers and Carbon. They especially explore technologies for their synthesis and manufacturing, to optimize routines and reduce costs and using environmentally friendly processes and precursors.